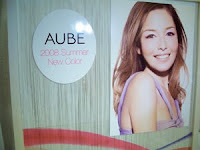 Biteki.com has posted some pics from the Aube Summer'08 collection press preview party. The focus was on the new Gel & Shine Eyes. 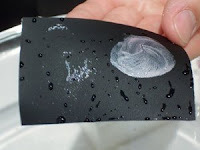 This pic demonstrates the gel eyeshadow's excellent water-resistant capability compared to another cream eyeshadow which faded after coming into contact with water. My lovely friend,Fleckenschnitte, has started her own beauty blog Lotus Palace. Many of you may know Fleckenschnitte from Makeupalley where she never fails to set many MUAers' hearts a-fluttering with her gorgeous hauls of Japanese and Korean makeup goodies. Do check out her latest haul of Maquillage's Fall '08 collection here! 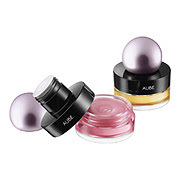 Aube has teamed up with Voce magazine to produce two limited edition items, Glossy Fruitina Shiny Pink (2100yen, 11g) and Airy Splash Powder Shiny Pink (4200yen, 16g) to commemorate Voce's 10th anniversary. 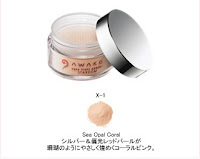 The Airy Splash Powder feels cool upon application, similar to Prescriptives' Magic powder, and it has shiny pink pearl for adding a healthy glow. Both wlll be released on 14 June in Japan. Anna Sui's website has been updated with the Summer '08 collection, which will be released on 5 June in Japan. 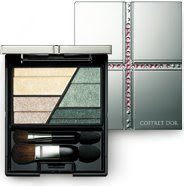 This fall, Coffret D'Or will be introducing a new gel eyeshadow, Fluffy Shine Eyes. 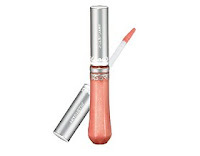 With a moisturising water base, it also contains a "Pure Shine Pearl" which gives the eyeshadow varying intensities of multi-colored shimmer depending on the angle at which one looks at it. The 5 shades available run the usual gamut of pale translucent pastels that are typical of Japanese makeup brands, which makes them easy to wear but less unique at the same time. 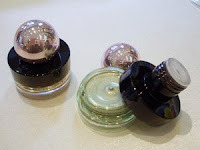 These look quite similar to Jill Stuart's Jelly Eyes except that Jill Stuart has a much more extensive and interesting range. The collection will be released on 16 July in Japan. The Jill Stuart website has been updated with the summer collection. It's a small collection comprising just a new quad, Seductive Eyes #5 Gemmy Diva, and two Lip Lustres in #20 Marguerite Glow and #21 Gleaming Nectar, all of which are limited edition. 6. Nail Lacquer N #3 Little Queen and #1 Snow Flake. The kit looks like a pretty good deal for the amount of products that are included! My haul from the Lavshuca, Lunasol and Majolica Majorca summer collections just arrived in the post and I'm loving everything that I received! I haven't used any of it yet but the products all look so gorgeous in the pan, that I'm sure they'll be great to use as well. I got both the Summer Gradually Compacts from Lavshuca. These are an absolute steal in my opinion. 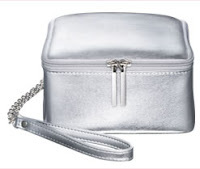 For just 1890yen, you get 6 largely shimmery metallic shades in a sleek slim metal compact. The shades are well-coordinated and can be used to create a variety looks. The total amount of product in each compact is 5.5g, which is exactly the same as the Lunasol quad except that the Lunasol quad costs a whopping 5250yen. You have to insert the eyeshadow trays yourself into the metal case (each tray has 4 gobs of glue underneath to hold it in place), which means you can re-use the metal case for other eyeshadow pans once you're done with the original eyeshadows. I also got the Majolica Majorca Powder Heat Metallic, which turned out to be a very pale beige shade when applied rather than a true bronze. The shimmer is very fine, not too loud or over-the-top so it's suitable to use on the cheeks as a glowy highlighter that won't make one look like a disco ball. It comes in the same cute tub packaging as MM's earlier Snow Carat Powder. Even though I doubt I will use this that much, I still wanted it as part of my MM collection as it's just too cute. At 1470yen for 6g, it's quite affordable as well. The powder is talc-based. Lunasol's Sheer Contrast Eyes EX01 is even prettier in real life than in the pictures that I've seen online so far. The shimmery bright blue reminds me of MAC Parrot and a teal quad from the discontinued Inoui ID line. It goes beautifully with the light mint green shade. I also like the light silvery brown shade which will be excellent as a liner shade. The shimmery pale beige shade looks like the standard highlighter shade. 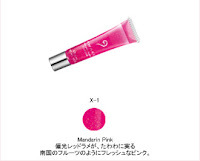 According to the chatter on 2Channel, a Lunasol SA said that the quads in the summer collection may be made permanent. But I wouldn't take the risk of skipping EX01 now as it's just too lovely. I'm not a big user of brown eyeshadows plus I already own several Lunasol brown quads so I skipped EX02. Check out my buddy, The Muse's very detailed review of the MM summer collection here! Bea's Up also did a survey of 31 readers to find out their top picks from the summer makeup collections. List of top three best-sellers from Paul & Joe, Jill Stuart and Anna Sui (not in any particular order). 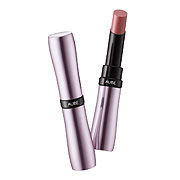 Lavshuca's Fall '08 collection puts the spotlight back on lips with its new Rouge Star Classic line of lipsticks. 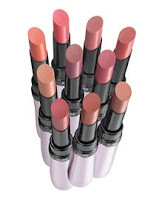 Formulated with "moisture wrapping oil" for deep moisturising benefits and pearl shimmer for high shine, Rouge Star Classic (available in 14 shades) is a regular-sized long-lasting lipstick, unlike the mini-sized Jewel Lips and Rouge Essence Bar. Lavshuca will also launch a new line of eight eyeshadow duos, Dual Prism Eyes. The shades shown in the promo image look pretty blah and seems to carry on the muted color palette of the Noble On Eyes palettes from the Spring '08 collection. The fall collection will also include two new Grade Color Select quads, 2 new shades of Color Conc Rouge, a new Creamy Liquid Foundation (in 5 shades), Eyebrow Pencil N (3 shades), Eyeliner Pencil N (2 shades), Liquid Pen Eyeliner (2 shades) and Powder Compact Eyebrow (2 shades). The collection will be launched on 1 August in Japan. Riding on the success of its mega-seller Powder Gel Eyeliner, Kate will be launching a revamped version, Powder Gel Eyeliner N, this fall. 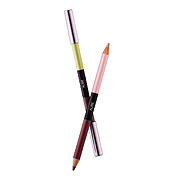 The new improved Powder Gel Eyeliner N (1575yen, 4 shades) promises to be more pigmented with a softer texture while maintaining its long-lasting power. Also new is a new Curve Wax Mascara (1575yen) that promises long-lasting curl, and a new lipstick line, Rouge Extra (1470yen, 14 shades). And finally there will also be a new eyeshadow palette series, Deep Trap Eyes (1680yen, 5 variations) which features combinations of smokey and the usual shimmery highlighter shades that are perfect for fall. The color combinations look more interesting and colorful than the usual run-of-the-mill gradational palettes. The fall collection also includes one new palette each from the Line Spicy N, Gradical Eyes S and Glam Trick Eyes lines. The Aube's Summer '08 collection website has been updated with the full collection. 1. 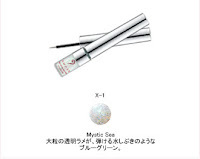 Coil Comb Mascara (2940yen): Waterproof mascara in 2 shades. The brush head has three different features, a coil brush for coating the lashes from root to the tips, a comb brush for separating the lashes and a tiny brush at the tip for those hard-to-reach tiny lashes at the corners of the eyes and the lower eyelid. 2. 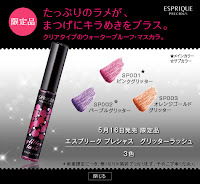 Dual Color Eyeliner (2100yen): limited edition in 6 shades. 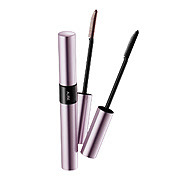 Each features a darker shade with black pearl shimmer for lining the upper eyelid and a lighter, "shiny color" shade for lining the lower eyelid. 3. 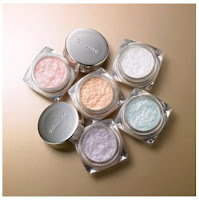 Gel & Shine Eyes (2625yen): limited edition gel eyeshadow and loose powder eyeshadow in 6 shades, which run the usual range of light metallic pastels that Japanese brands are so fond of doing. 4. 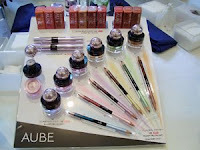 Rouge Pure Stay (3150yen): 10 new shades OR721 Clear Orange, PK722 Clear Cherry, PK723 Stardust Pink, PK724 Crystal Pink, BE725 Sheer Beige, RS726 Rose Mauve, RS727 Jewel Rose, RS728 Red Rose, RD729 Melty Red and RD730 Beige Red. A foundation case that is designed by Kane will be launched on 21 August in Japan. In addition to Maquillage's current 4 spokesmodels, British model Agyness Deyn will also be featured in the promotional campaign. Sounds exciting! Esprique Precious' summer collection is also up on its website. The star product of the collection is the new Glamorous Glossy Eyes, which is a waterproof dual-ended creamy eye colour, formulated with a "Wet Shiny Oil" for a glossy effect. Fans of their Matte Lasting Cream Eyeliner may want to snap up the two new limited edition shades, PK800 and BL901, both of which look gorgeously vibrant. The limited edition Glitter Lash mascara (waterproof) in pink, purple and orange looks lovely even though I'm not a user of glitter mascaras! 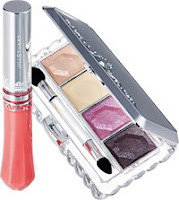 Coffret D'or has updated its website with the new summer collection featuring the new Trance Deep Eyes quads plus many new lipstick shades and eyeliners. The collection is due out on 16 June in Japan. This Chinese blog has good pics of the store display and swatches of the new quads. Do check it out! 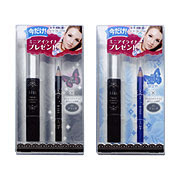 Kiss will be releasing a limited edition set of its Mascara Glamorous Volume WP #1 Black and Eye Pencil Mini in either #1 Black or #2 Jewel Blue, at the special price of only 1470yen (the usual price for the mascara alone) starting 22 June. Also being released are three limited edition nail polishes. 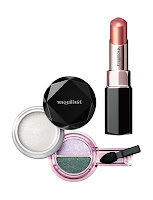 There are currently only 2 reviews for Gel & Shine Eyes on Cosme.net, both of which are positive. 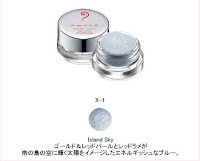 According to the reviews, the loose powder eyeshadow has a nice shimmer while the gel eyeshadow really has a gel-like texture that is more pigmented than expected and easy to apply. Overall, the Gel & Shine Eyes also proved to be crease/fade-resistant. Sounds like a potential winner!